JOIN US ON WEDNESDAY, MARCH 6! Join us at the the Spring Brooke Resort in the Wisconsin Dells! 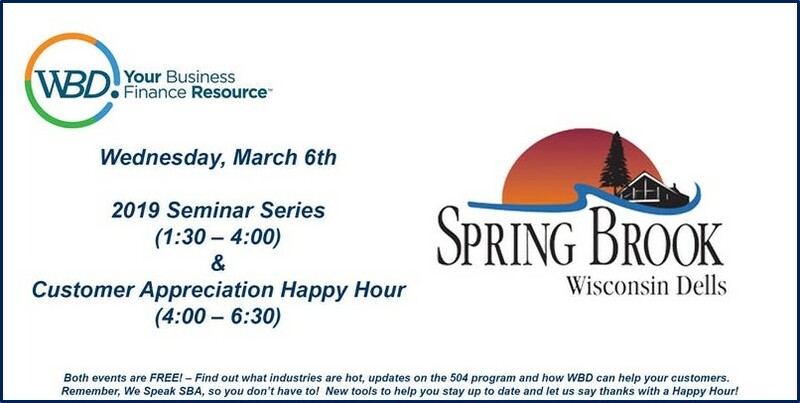 And click here to REGISTER NOW for the WBD 2019 Seminar Series – Wisconsin Dells!